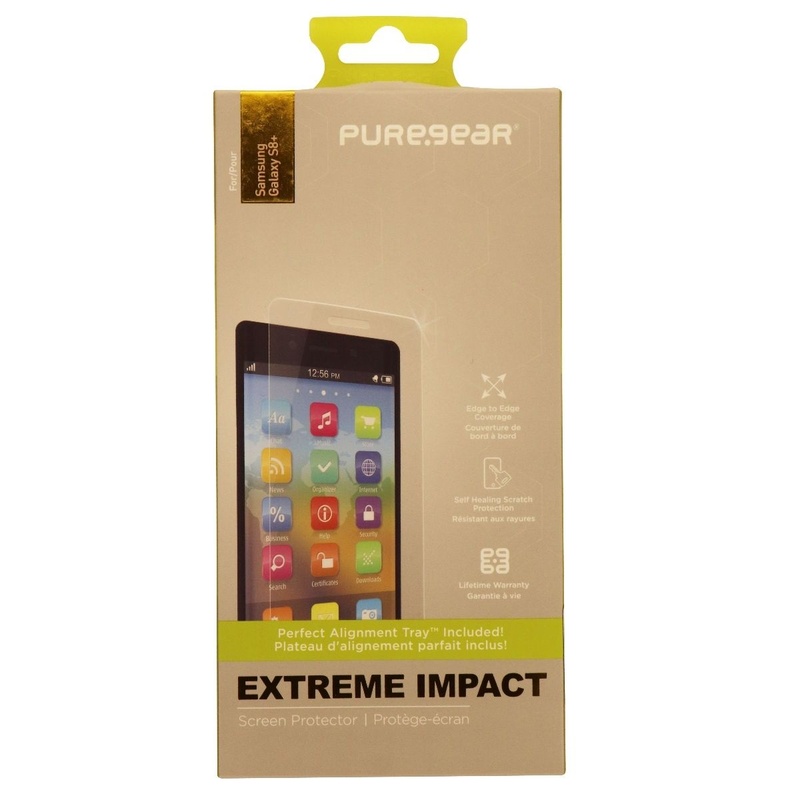 PureGear products, The Extreme Impact Series Screen Protector for Samsung S8+ (Plus). Clear finish. Includes: Screen Protector, Perfect Alignment Tray, and a Cleaning Kit with Instructions.